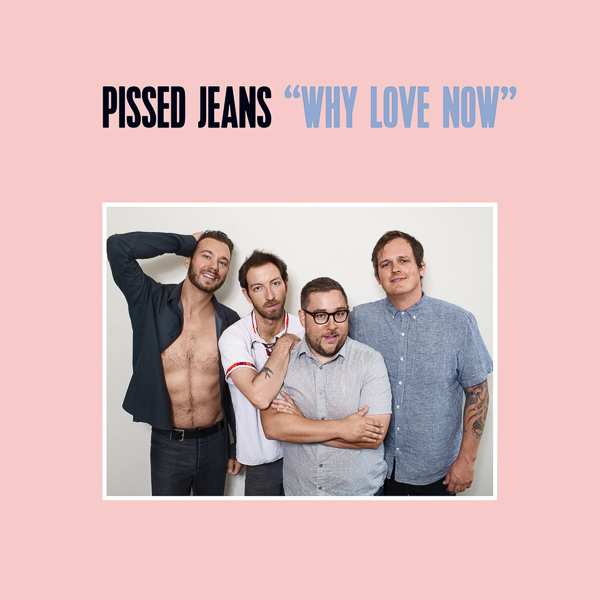 Recently, Pissed Jeans shared Why Love Now’s lead single “The Bar Is Low” and we strongly suggest you have a listen to it here. In addition, their recent interview with the Sub Pop Podcast might be one of the absolute best things to come out of late(r) 2016. Why Love Now was co-produced by Lydia Lunch, Arthur Rizk and Pissed Jeans, and will soon be available on CD / LP / CASS / DL on Sub Pop [over here]. The album features the aforementioned “The Bar is Low,” along with standouts “Ignorecam,” “Love Without Emotion,” and “I’m A Man” (featuring lyrics and vocal from Ugly Girls author Lindsay Hunter). Read more about Pissed Jeans from Maura Johnston here, and follow the band all over the universe on Facebook, Instagram and Twitter. Older Entry: Nothing Says Christmas Like A Surreally Disturbing New Short Film From Clipping: Watch "Splendor & Misery"